In this week’s episode I pull back the curtain to reveal the “magic” formula that can get your products ranked high in Amazon search results! The way the formula works is not so magic, actually…it’s very simple. But that’s the way most “magic” tricks are once you know how they’re done! You come to see and understand what the rest of the public doesn’t. On the outside, the results can certainly look like magic! Disclaimer: We cannot guarantee specific results, or any results at all. There are many factors that contribute to a product’s ranking in Amazon search results. Some factors you can control, and some you can’t. There are no guarantees this formula will work for your situation. Amazon rewards the best-selling products with the best rankings in search results. 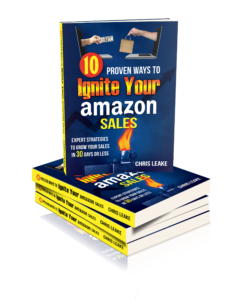 If you prove that you can be a top seller, Amazon will put you in front of a lot of customers. Amazon cares about sales over time, not just how many sales you can make in a moment or in a day. Trailing 7 days sales volume is a very key metric. Determine how many sales per month the top X number of products for that search term are making. (For example, if you want to be ranked in the top 5, how many sales per month are each of the current top 5 products for your chosen search term making.) Use a tool like Jungle Scout or fbatoolkit.com. Be sure to account for products that have multiple child variations, and each variation has its own sales rank. Divide that number by 4. This is how many sales you need to make in one week. You may choose to add 20% to this number just for good measure. Divide your weekly sales volume by 7 days, and make sure you make the necessary number of sales per day for a full 7 days. You might want to add an 8th day just for good measure. Now you know exactly how many sales you need to make per day, for 7 straight days, to rank where you want to rank for your chosen search term! This is how we recently got ranked 1st, 2nd, or 3rd for our top 4 search terms on a new product 8 days after the listing went live. Since that first week, we’re continuing to rank 1st or 2nd for every search term, and we’re making a good number of organic, full-priced sales every day. Run a promotion to your existing list or audience. Send to a Facebook Messenger list. Run Facebook ads to a customer list, such as your Amazon customers. Use a launch service, such as Viral Launch. Have an awesome product detail page. Once you’re ranked organically, the only way you can stay there is if a significant percentage of customers continue to choose your product among the options available. Have at least a couple of product reviews already (5-star) before your start your big 7-day sales push. Make sure your price point is competitive. Choose your discount percentage strategically. MAKE ABSOLUTELY SURE you get your settings correct so you do not accidentally sell out your entire inventory! Have sufficient inventory available for both during and after your promotion. Remember that sales volume estimates are only estimates. Check the data a few times over a period of a few weeks for more accurate estimates. Don’t track sales volume during the height of the holiday season (or whatever time of year your product gets peak seasonal volume). Numbers are inflated then. Need help running a product launch? Want an outside pair of eyes on your situation before you spend the money to run a launch with the magic formula? Need help getting a product listing ready for a launch? We’re here to help! Schedule a free 30-minute phone consultation ($250 value).